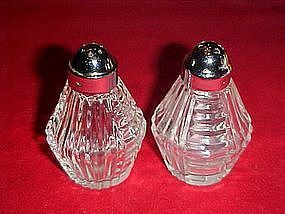 Vintage crystal clear salt and pepper shakers made by Anchor Hocking. Pattern glass with chrome tops. Measures 3" tall and are in excellent condition.